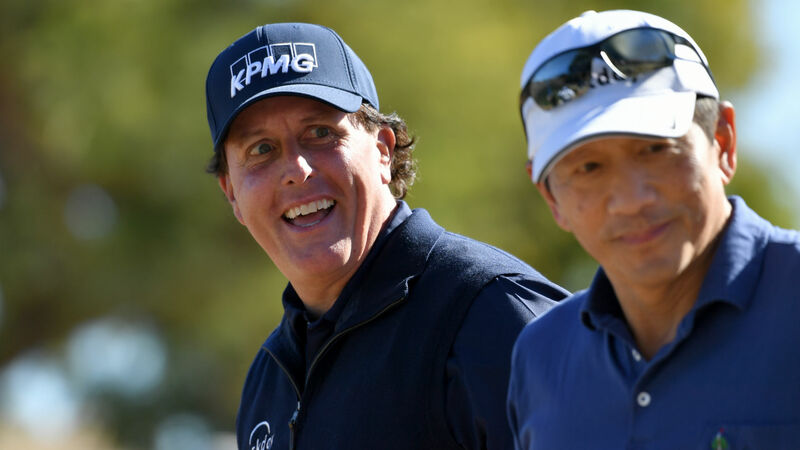 American veteran Phil Mickelson maintained control of the leaderboard after the penultimate round of the Desert Classic. Mickelson carded a six-under-par 66 to stay two strokes clear at the PGA Tour tournament on Saturday. A 43-time PGA Tour champion and five-time major winner, Mickelson teed off at the Stadium Course and had a flawless third round highlighted by six birdies. Mickelson is the man to beat heading into the final round at 22 under, ahead of Canadian Adam Hadwin. Hadwin jumped to second place after mirroring his round-one score, a seven-under-par 65. With just one victory on Tour, Hadwin tallied seven birdies in his efforts to move within touching distance of Mickelson. Americans Adam Long (63) and Steve Marino (67) enter the final round in third and fourth place, respectively. Defending champion and Spanish star Jon Rahm fell into a five-way tie for seventh place at 16 under. Rahm posted a third-round 68 following six birdies and a pair of bogeys at the Stadium Course. The Desert Classic features three courses in La Quinta, California - Stadium Course (the host course), Nicklaus Tournament Course and La Quinta Country Club. A cut was not enforced until every golfer had a chance to play each course. As they finished on Saturday, the mark was nine-under. World number one Justin Rose made it through to Sunday after his third consecutive round of four-under 68. Some notable names not making the cut included Sam Saunders, who carded his worst round of the tournament (77), and Patton Kizzire — who was fresh off a win at the Sony Open in Hawaii.